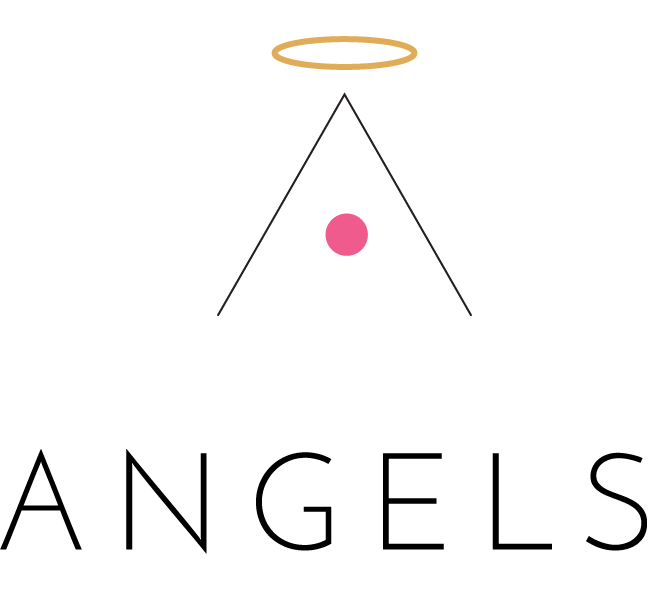 Knowing that many of you are no stranger to this product, today I will more focus on my own testimonies and review. 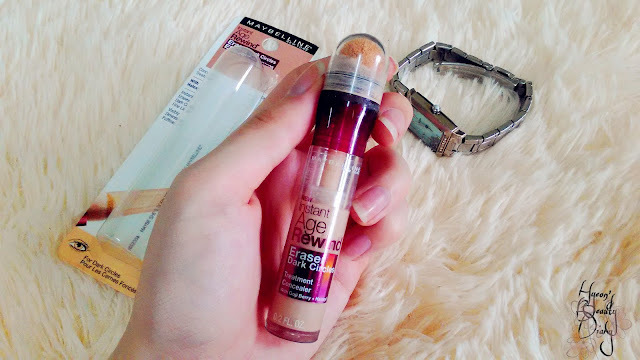 Maybelline's Instant Age Rewind (Erase Dark Circles, Treatment Concealer) 120 Light/Pale | 6 ml / 0.2 fl. oz. 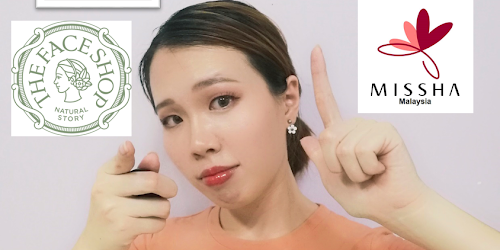 Long before this product is available in Malaysia, it was a total hype in the Western countries whereby countless of Beauty Youtubers and Bloggers revealed this concealer product as their top pick on the list of the same category. I was really excited about it, and even thinking to get international shipping for this product (that's how crazy it was). Fortunately, it was finally introduced into my country earlier this year. Apparently locals very much like the product too as you watched it quickly went out of stock for the first few weeks. Since it is so well-known, I wouldn't bore you with another lengthly-detailed product description. As you remove the cap, should you see a fluffy sponge applicator. To use, simply twist the collar of applicator for 1-2 clicks at a time and watch the liquid concealer immersed into the sponge applicator. Then apply it directly onto targeted areas which need extra touch. 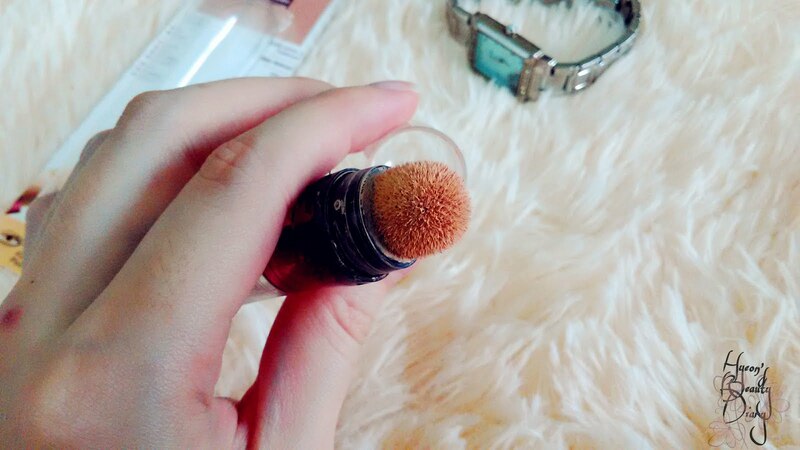 Blend the concealer by using your fingertips, makeup sponge or whatsoever. Colour wise, since it is a Western product, it has wider colour range to choose from. For instance, I chose 120 Light/Pale as it is closer to my skin tone. To test its coverage, here's a simple experiement. As you can see below, the vein on the back of my hand is showing off. 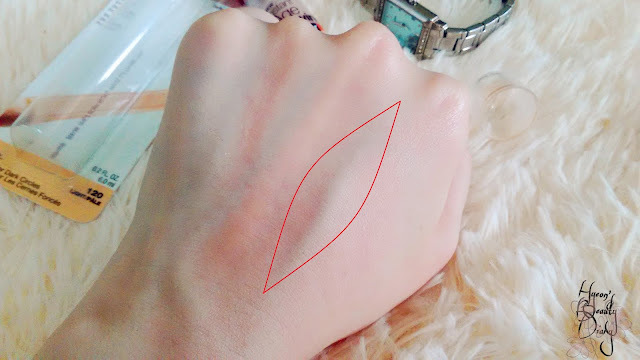 To test whether this concealer is effective to conceal the scene, I am applying Maybelline's Instant Age Rewind on top of that particular vein (as below). In terms of concealing dark circles and fine lines, it is really impressive too. Your eyes will look less puffy almost instantly. 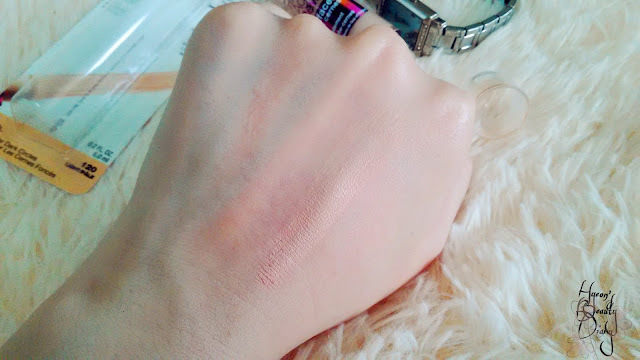 However, for my case, there is a tiny issue - it tends to cake up around the eyes not long after application. :/ I guess it doesn't apply to everybody, but I thought it might be related to the skin type and age. This product is available at local drugstores Watson and Guardian. 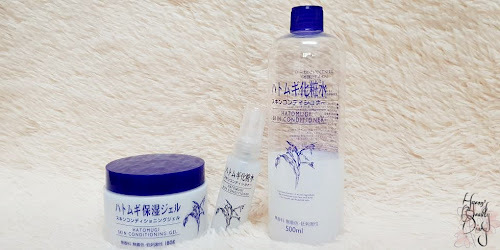 Recommend: For dry skin type. 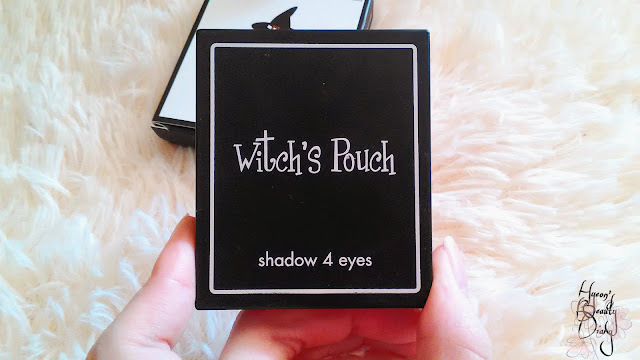 It's been a while since my last review on Witch's Pouch. 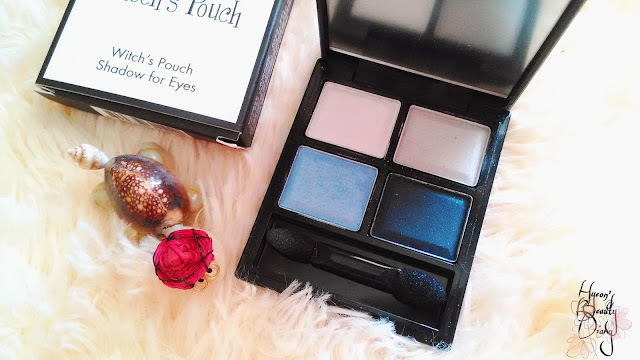 This time round I am going to share with you an eyeshadow palette instead. 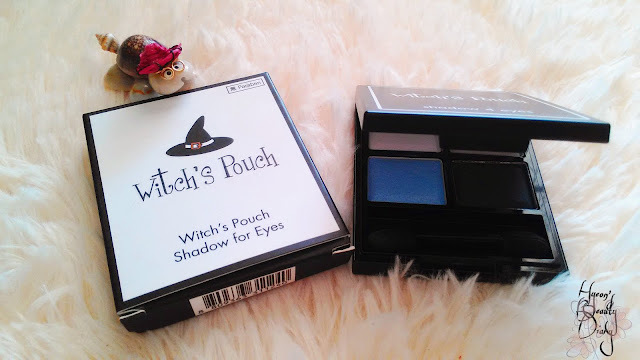 I saw Althea was having new brand promotion and that's when I purchased this eyeshadow palette. 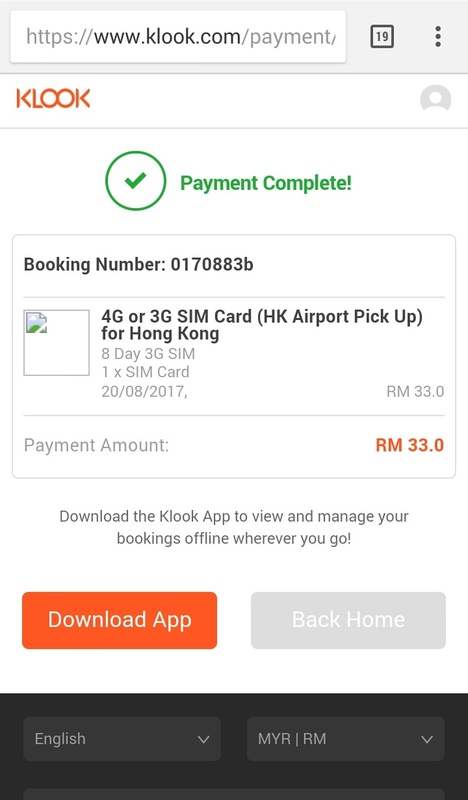 It was less than RM20 because of the promotion (the main factor I made up my mind). The packaging is really cute and compact. 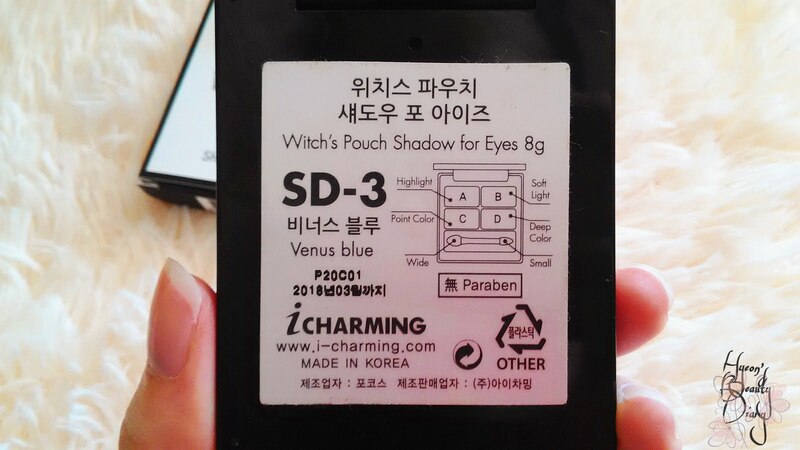 Black casing with white wordings. Very contrast design. There are four colours in this eyeshadow palette (as below): White (highlight), Silver Grey (soft light), Light Blue (point color) and Dark Blue (deep color). 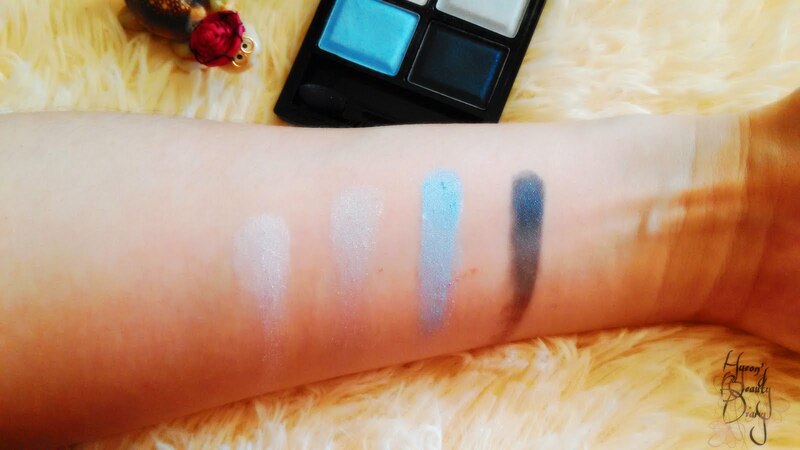 As you can see, the eyeshadow colours are very pigmented, which is good, but flaky / chalky. I guess with a little help of eye primer, the result would be more promising. This product is available on Althea website. 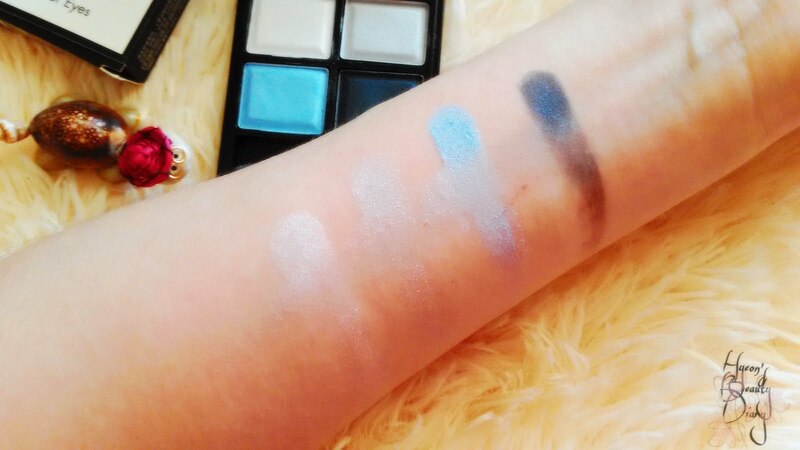 Recommend: For makeup amateur who wants to try out new colours. 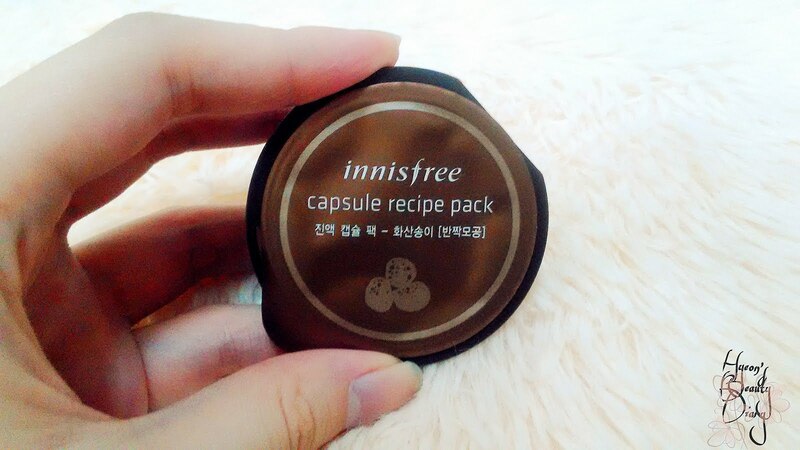 I am already a fan of Innisfree's It's Real Squeeze mask sheets, how about its travel friendly capsule recipe pack? Today I will be reviewing on Innisfree's signature capsule recipe pack - the Jeju Volcanic Clay Mask. You would notice there are plenty of skincare products out there featuring volcanic clay as an ingredient for pore care. 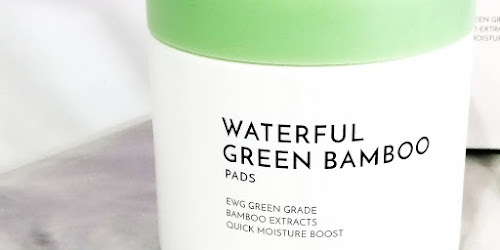 It is said to have to ability to clean and get rid of pore-clogging impurities (wow!). 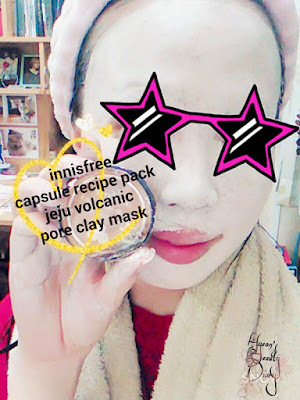 This volcanic clay consists of pure Jeju volcanic scoria, which are fairly rare ingredient formed from lava as it cools resulting after a volcanic eruption. Speaking of this, Innisfree has another packing of volcanic pore clay mask - a bigger packing as below. Now you may ask, what's the purpose of having a much smaller capsule size? Personally, I thought smaller size does have its purposes: (1) Portable travel friendly size; (2) Less possibility for the clay mask to dry up before emptying; (3) More hygienic because of less usage to empty the product. For your information, one capsule is sufficient for 2-3 uses. For instance, 3 times for my case. Thankfully it is not completely dried up. 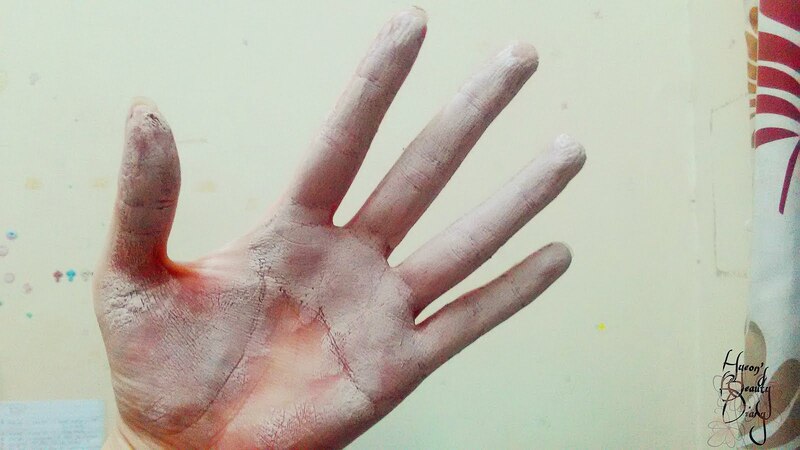 I scooped up a portion of the clay mask and started to mash it on my palm. 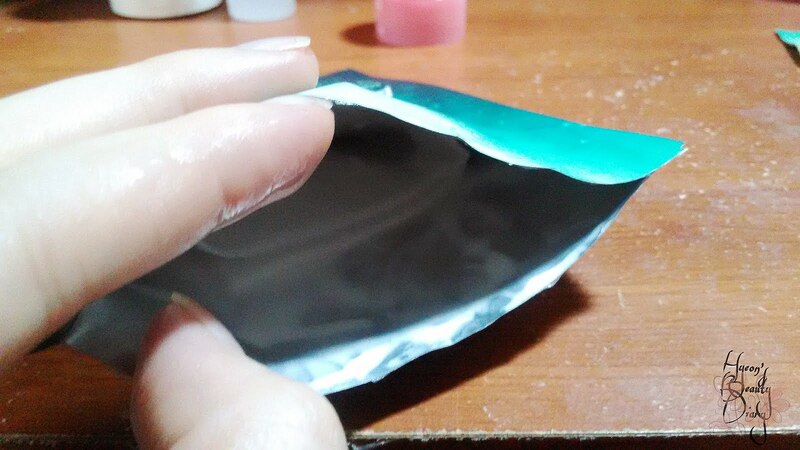 The clay mask was still adhesive, which means it is still usable. 1. After washing your face, spread and massage the mask evenly on your face. 2. Insert the lid into the slit of the container and close it to keep the remaining fresh for the next use. 3. Rinse off the mask with lukewarm water after 10-15 minutes. I applied it for 3 consecutive nights in order to finish up the capsule before drying up. 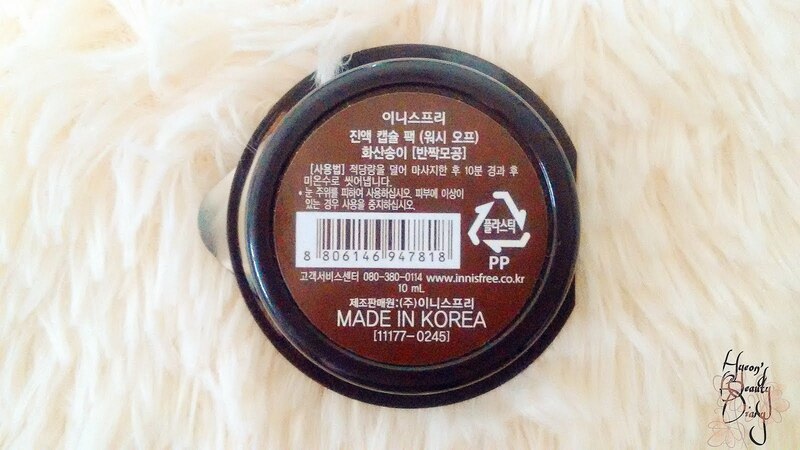 Personally, I thought it is a relative good quality clay mask. The texture is really smooth and refine. Mild on the skin. When it is drying up, it won't crack - giving the illusion that it retrieves your skin moisture. The result is promising. After rinsing, my skin doesn't feel dry at all. 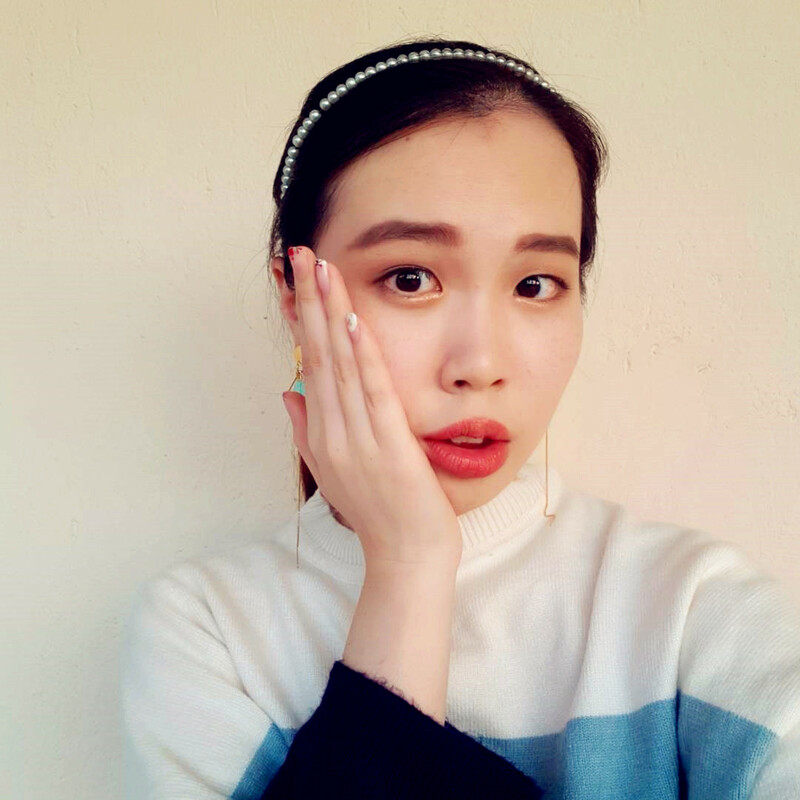 Besides, I do observed it appeared less oily around the pores and my skin felt clean and smooth after the treatment. 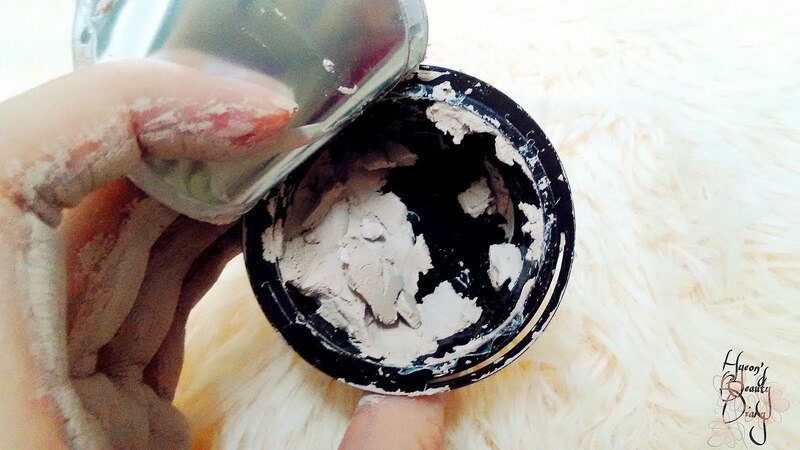 Bear in mind, it is insufficient to depend on clay mask solely in treating oily skin problems. Try to identify the cause(s) of your oily skin problems would be the recommended way to overcome it in a long term. 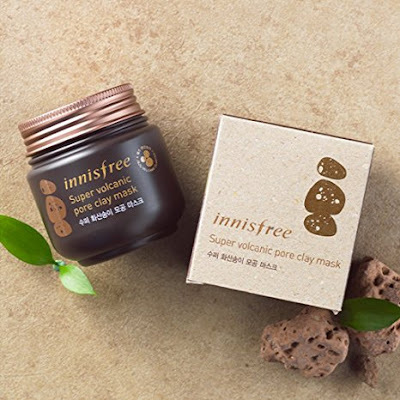 This product is available on Innisfree concept stores, Hermo and Althea. Recommend: Highly recommended for oily skin. 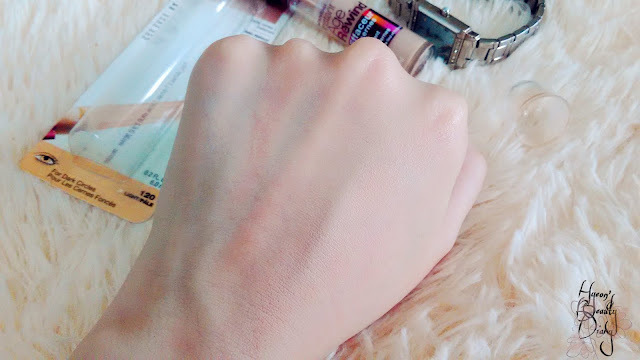 Though the weather is turning humid lately, my skin still lacks of moisture. Meanwhile, my skin looks dull since I didn't give much care to it as I am too tired from work. Time for nourishment! Let's kick start the month with a review on Nature Republic's mask sheet. 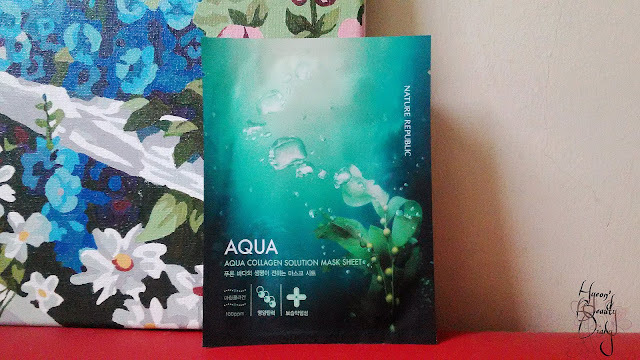 I got this mask sheet as a freebie while shopping at Nature Republic store back at South Korea. Hence, I didn't know how much it costs. 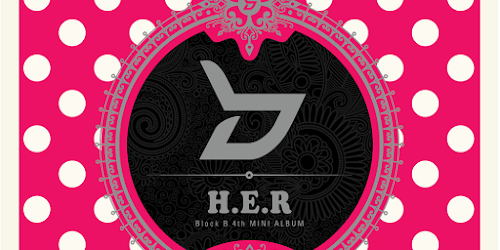 So I checked online; It costs about KRW3,370 (approximately RM13) per piece. However, it is available on Lazada.com, easily for RM200+ per box of 4 pcs (whut???). I don't know what is happening there (seriously), but guys please do your own research before placing any order. Be a smart consumer! 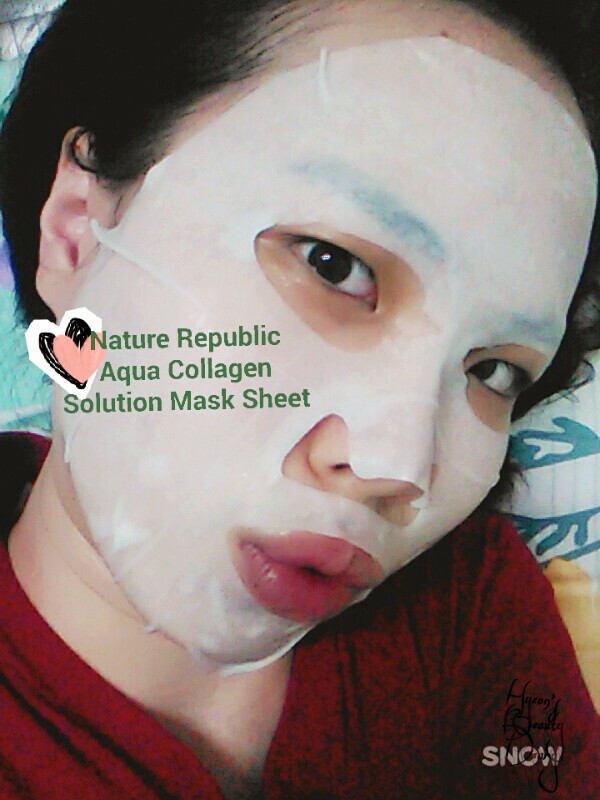 According to the product description, it is an uplifting mask sheet that provides intense hydration to the skin with highly concentrated collagen extract. To be exact, it contains 100ppm marine collagen. The size of the mask sheet is slightly larger on the cheeks, but nevermind. Just fold or overlap to fit your face. Anyway, you gonna dispose it after 15-20 minutes. As for the smell, there is no significant fragrance. Just the usual cream scent. 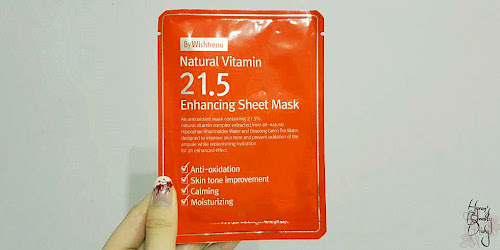 Typically, cream-type mask sheet really helps to nourish the skin in a short amount of time. I do observe this sheet mask does the work perfectly well too. Since cream-type mask sheet is slightly on the oily side and it might feels heavy on the skin (a bit stuffy underneath the mash sheet, if you know what I mean), I don't highly recommend for those who are currently suffering from oily skin issues. Know what's your skin condition now, and provide what it needs. There is no ONE-FIXED rule. Flashback to last August, I got a somewhat "getaway" to Hong Kong to attend my high-school friend Amy's wedding. If time permits, I would share my food journey with you here. 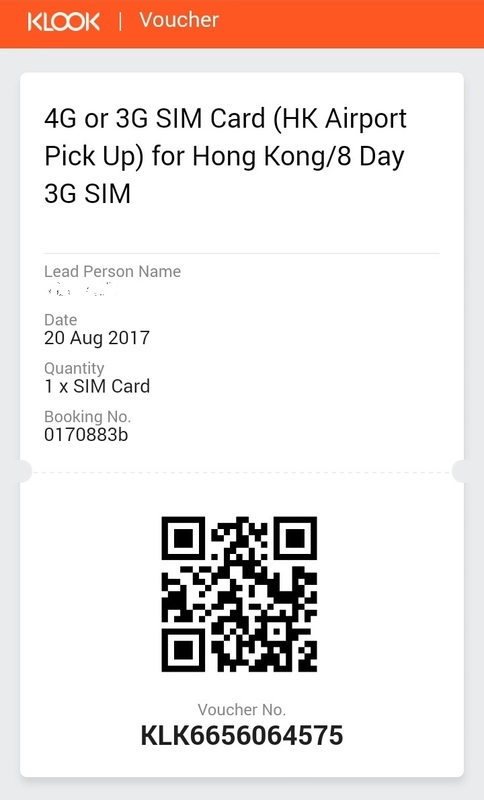 Now I want to share with you the "best travel partner in need" every time you go abroad - data SIM card. Ahead of the trip, I quickly searched online for the data SIM card recommendations. That's when I found KLOOK. 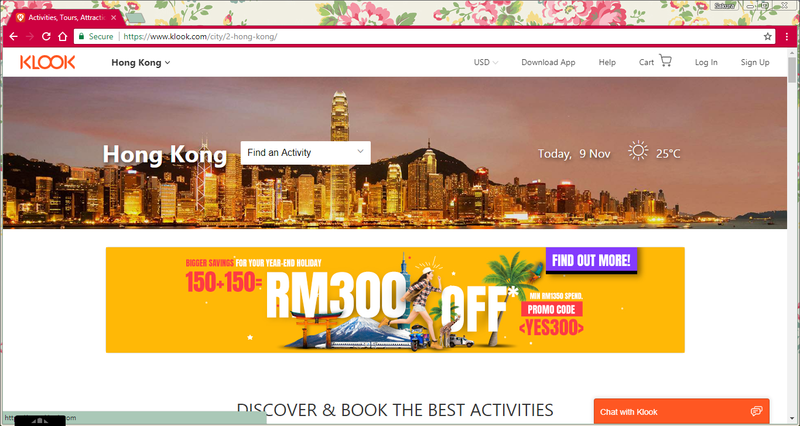 To view the deals, simply go under the column "Transport & WiFi" and choose "WiFi and SIM Cards". There are a few options which you can choose according to your preference. 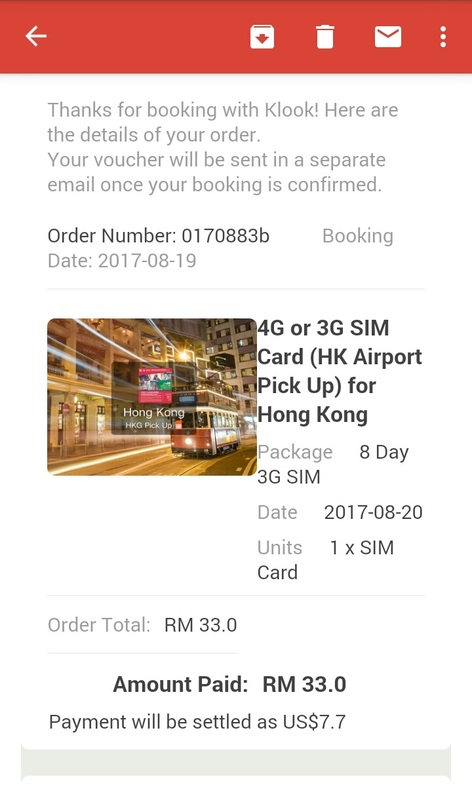 For instance, I chose 8 Day 3G SIM under "4G or 3G SIM Card (HK Airport Pick Up) for Hong Kong". All you have to do is to click the "Book Now" button and pay. 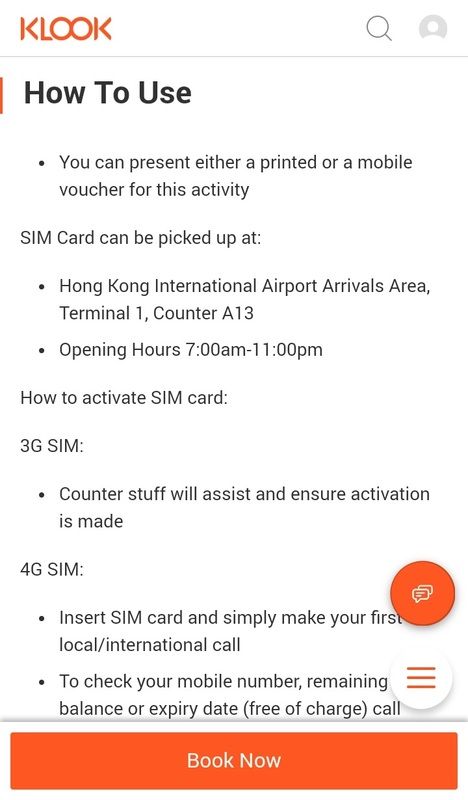 Then proceed to pick up your SIM Card at Hong Kong International Airport Arrivals Area, Terminal 1, Counter A13 (turn left and walk straight after coming out from arrival hall, until you see small booths on the right). Opening Hours 7:00AM -11:00PM. 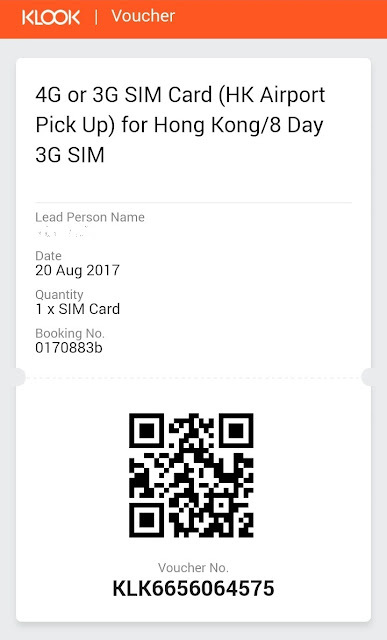 Upon redemption, you can present either a printed or a mobile voucher (as below) to the counter staff. 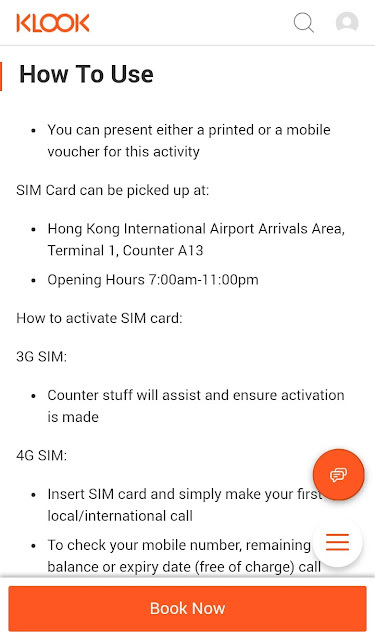 The counter staff(s) will also assist you on activating the SIM card, if needed. For my case, the whole redemption took less than 10 minutes. The counter staffs may not speak fluent English, but they attend to customer requests diligently. Fast and hassle-free. Q: Is the connection fast and smooth? A: Yes, even it is 3G, it is very much compatible ;) Live streaming is pretty smooth too! Q: Is the connection widely available? A: Yes, I didn't encounter any connection problem throughout my trip across cities. 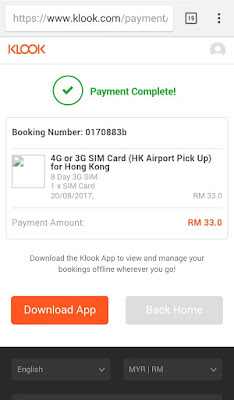 Q: Can I make local/international calls using data SIM Card? A: Yes, you can, provided you have credit balance. 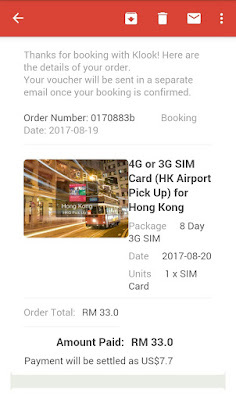 Q: Will you get this Data SIM Card again on your next Hong Kong trip? A: Yes, I would, provided it is still available.